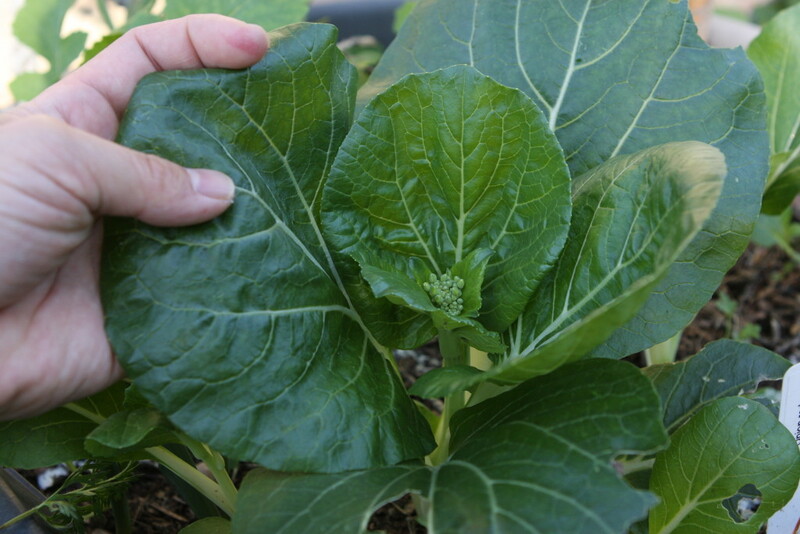 Biggest bok choy grown thus far. It is in the spot with the most amount of sun. The spot in the garden with the most sun. 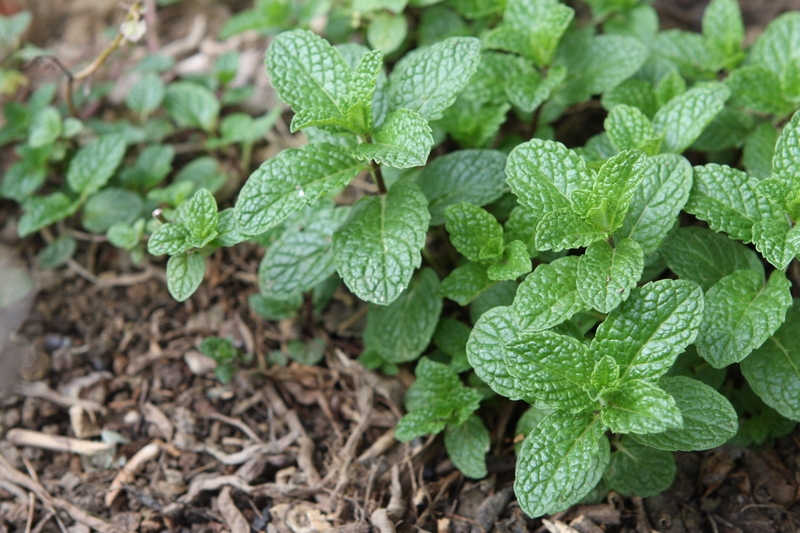 The mint are coming out of hibernation. 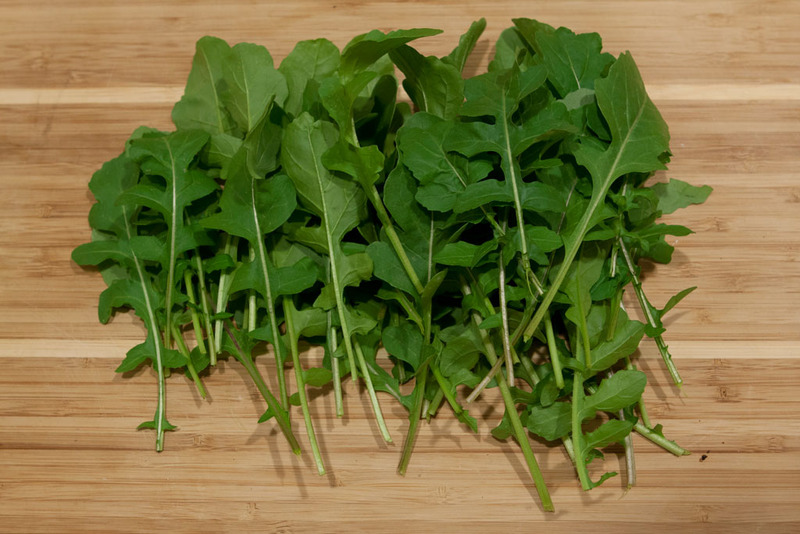 Spinach. Update: I planted these two into the ground and they were immediately gobbled up by the pill bugs. 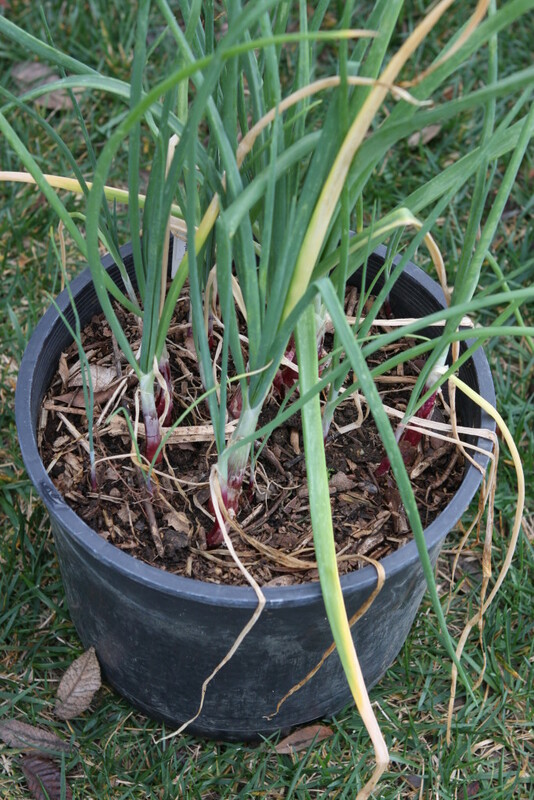 The garden’s second generation shallots. These were grown from the seeds of supermarket shallots. I started some paprika peppers last fall and never got around to transplanting them. 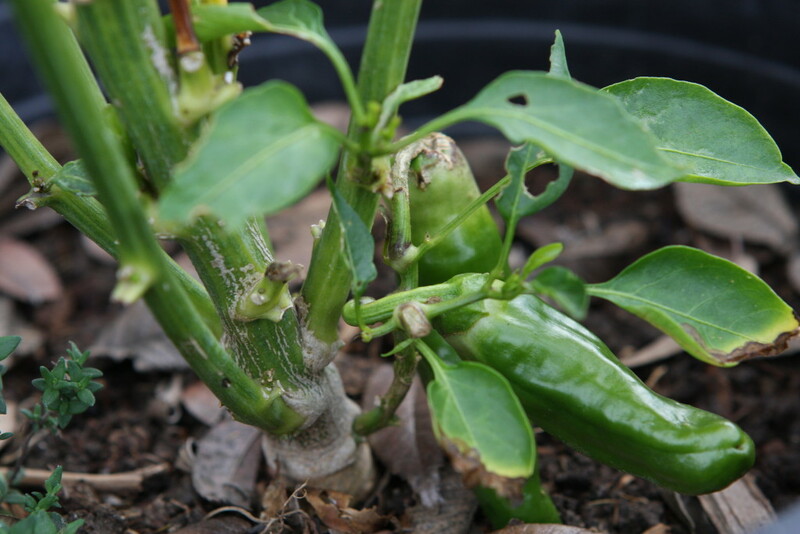 ‘Anahiem’ peppers set and grew through winter. 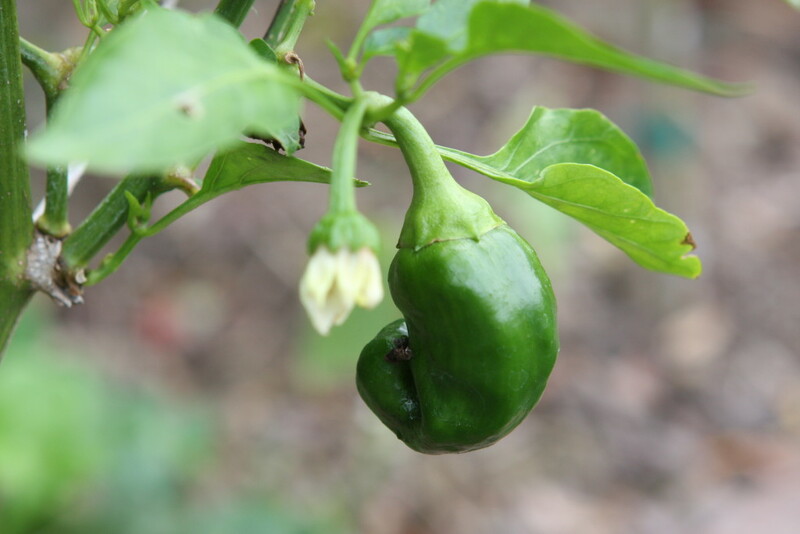 ‘Fajita’ bell pepper growing despite it being winter. 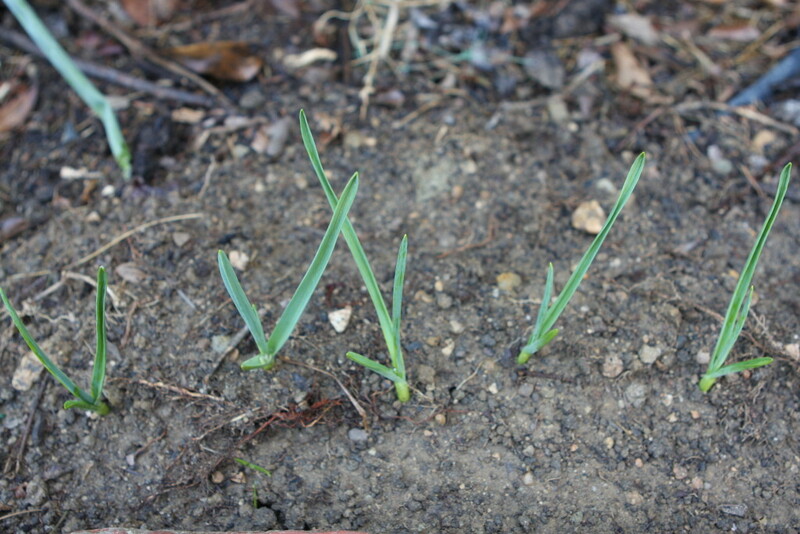 ‘Turkish Giant’ garlic slowly growing. Fennel pretty much seeds itself. Elephant garlic grown from the bulbils. Here the elephant garlic lifted its hard bulbil shell into the air. It is going to take at least a couple of years before they get softball sized. First time growing ‘Chesnok’ garlic. Thus far the quickest garlic (aside from Elephant garlic) in the garden. 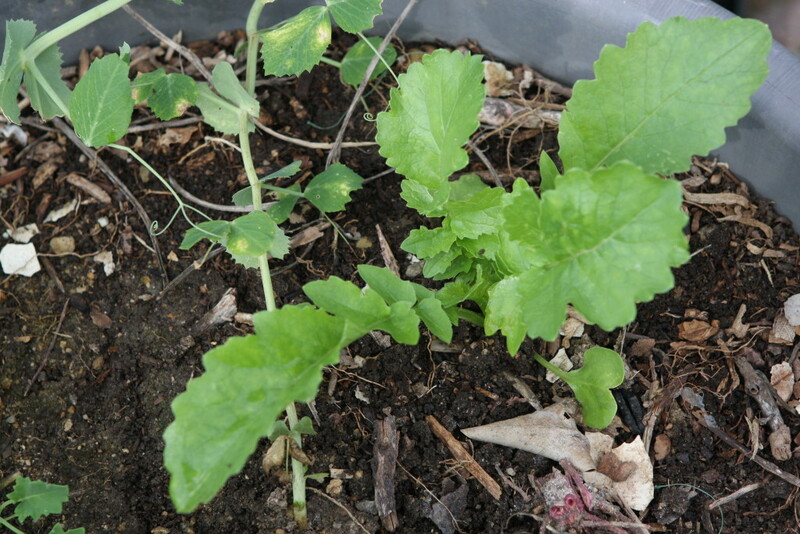 First time growing Daikon. 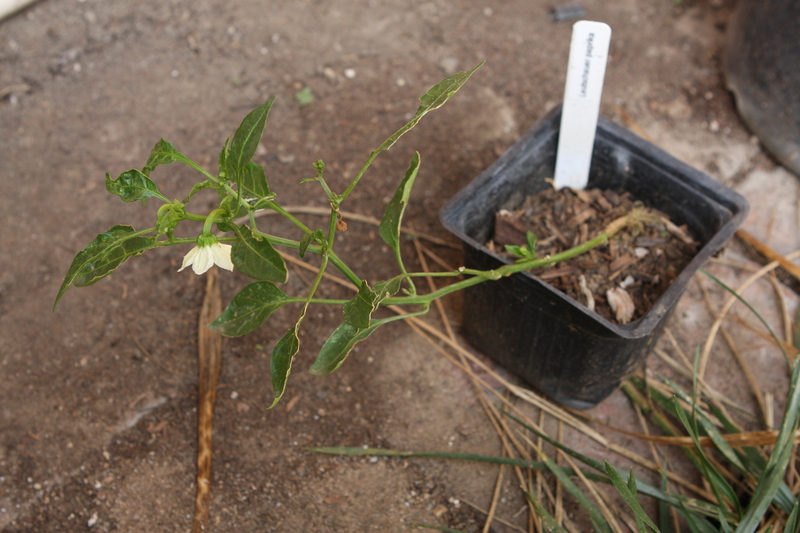 It is a fast growing plant. 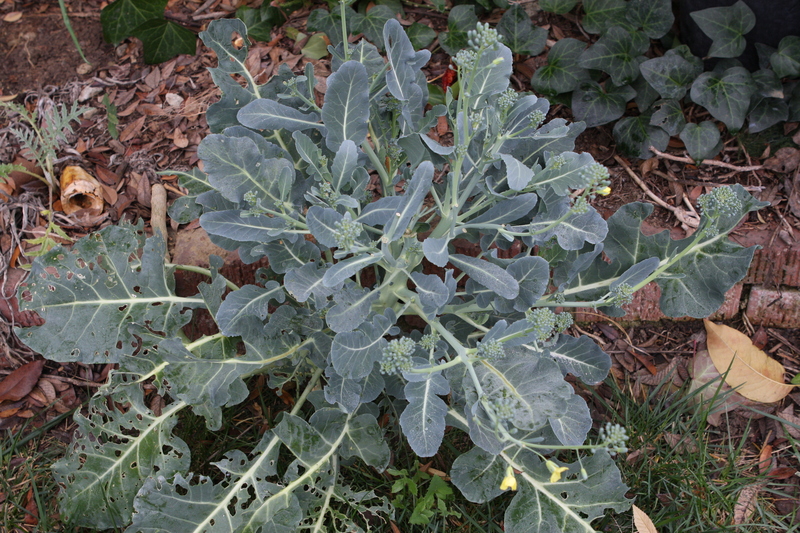 Broccoli. It produced only a bunch of tiny florets. Which made for a quick snack when I am outside checking on the plants. 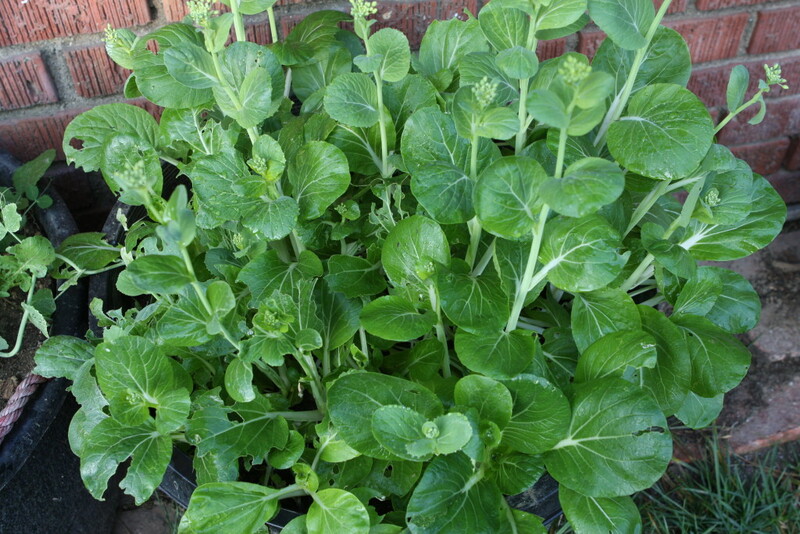 The bok choy grew faster than I can figure out what to do with them. I have to remember to thin them out more aggressively in the future. Otherwise, the slugs end up enjoying them. Or can you? The always difficult choice of choosing between maintaining an open space or realizing a garden to its maximum potential is a conundrum faced by a good number of gardeners. While there may be space to build and grow a serious garden, your family’s need for open space may supersede that want. As with most conundrums, sometimes the best we can do is to settle and get what we can get. 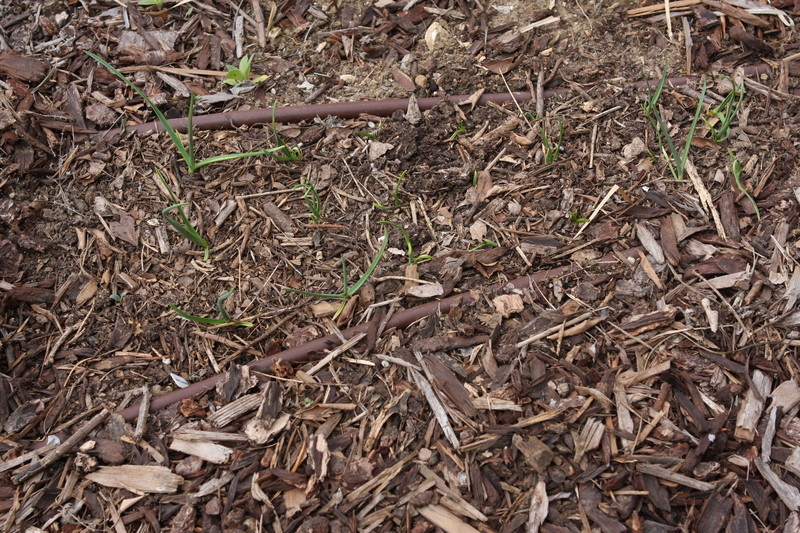 Last year, the idea to dig holes into the lawn for planting was conceived. I already had a good number of pots with plants in them. Why not turn that idea around? 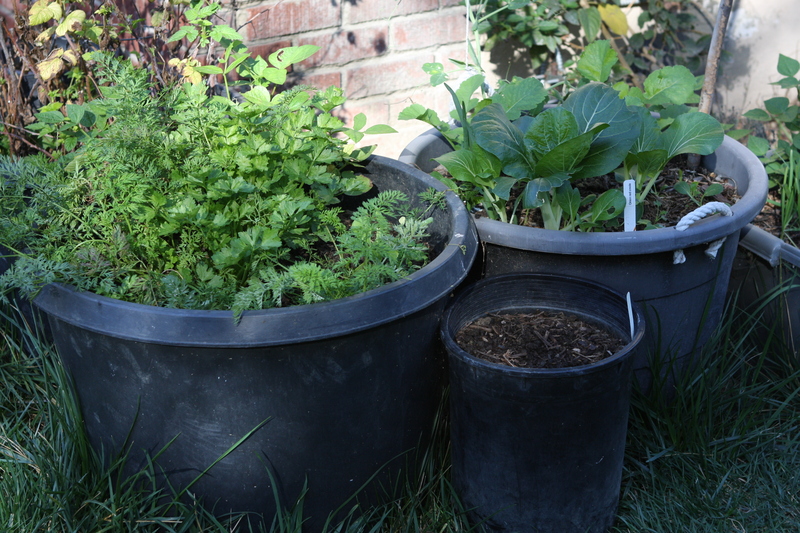 Instead of pots above the ground, the ground was turned into pots. Holes would be dug and replaced with nutrient rich soil. Then a plant would be planted. 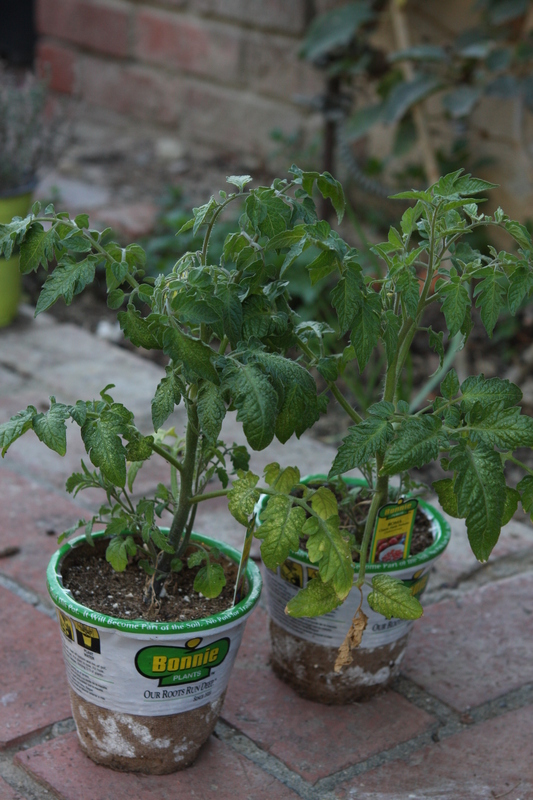 In some ways, these were better pots. 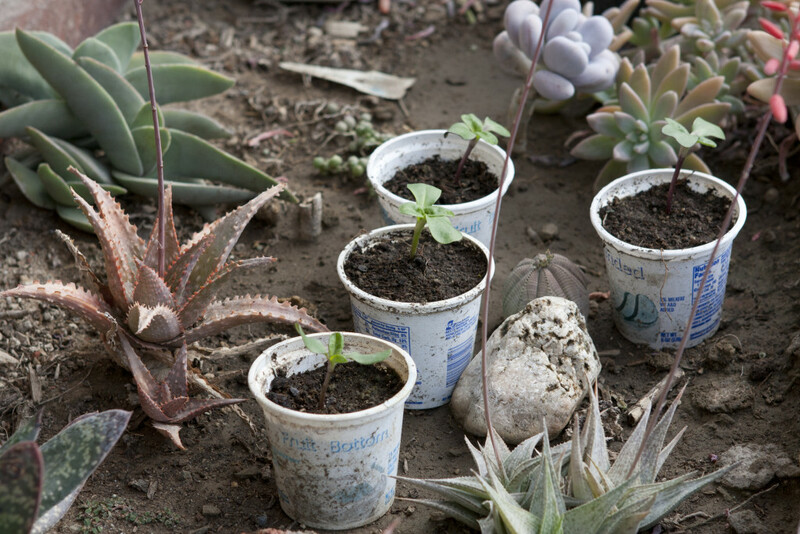 A plant’s roots have a better chance expanding into the hard dirt than it does trying to push through plastic or clay pots. Holes were dug. The side and depth of the hole was dependent on the plant’s needs. This year, I am planning to expand on this practice. I am starting with the far end of the lawn. 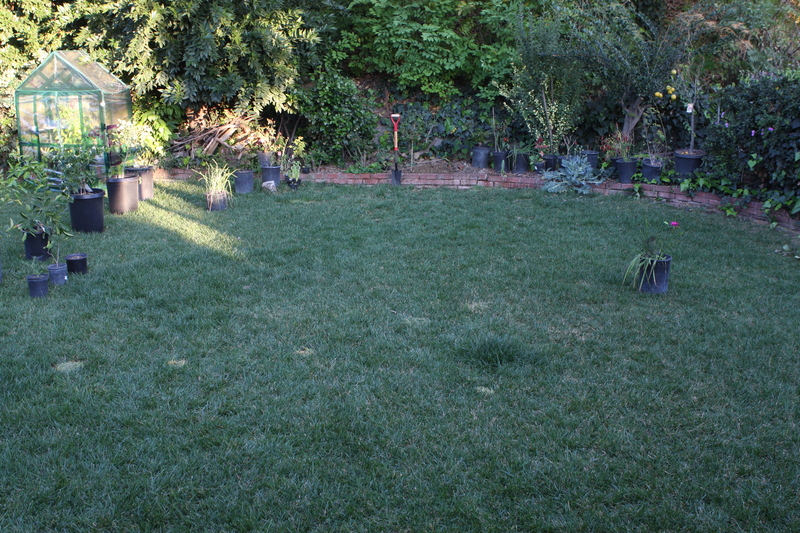 It is the part of the yard where it can be seen from the living room. I prefer to grow flowers here. Already back there are roses. Now, I am adding ‘Red Sun’ sunflowers to the view. Sunflowers are one of the easiest flowers to grow. Other than protection from bugs and slugs early on, they do not require too much. 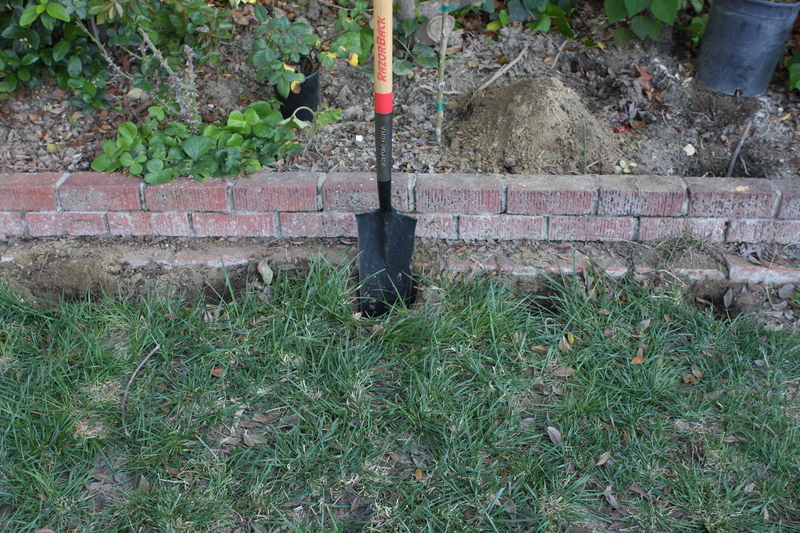 Using a trench shovel, five holes are dug: about a foot apart, about 10-inches deep and 6-inches wide. The dirt that was dig out is piled for back filling later. 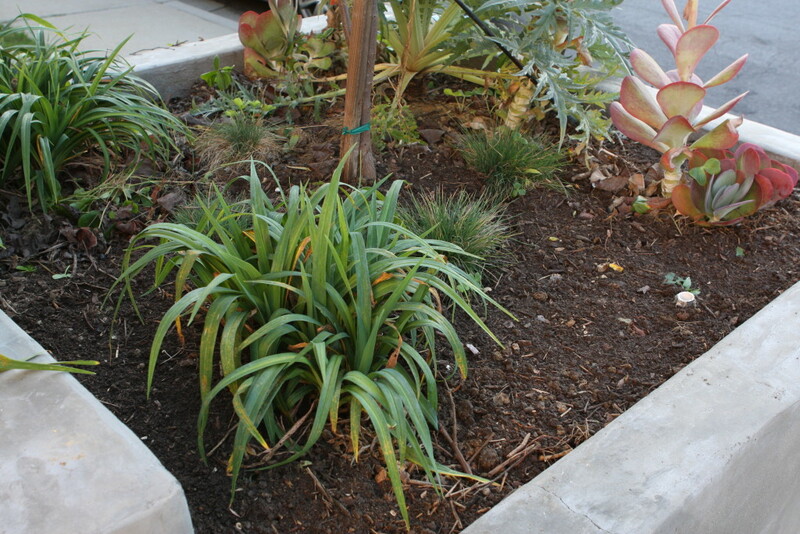 Before back filling the dirt, compost is added and mixed in to turn the dirt to soil. 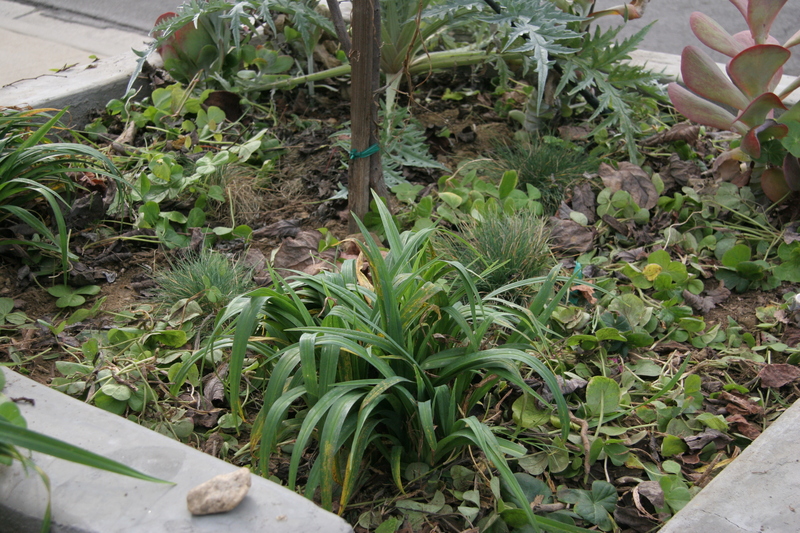 Plants love compost; even low maintenance plants like sunflowers. 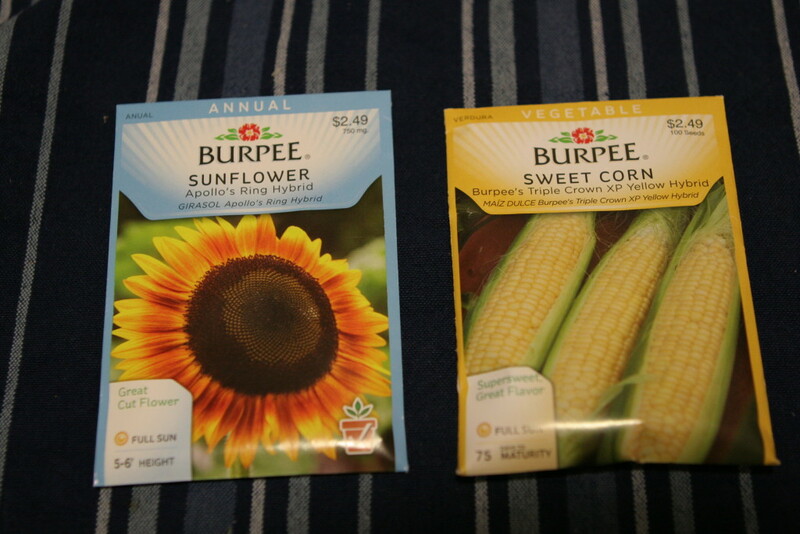 While sunflowers do not need much, as a gardener, you’re going to provide your plants with as much as your able to. Just like you would your children. 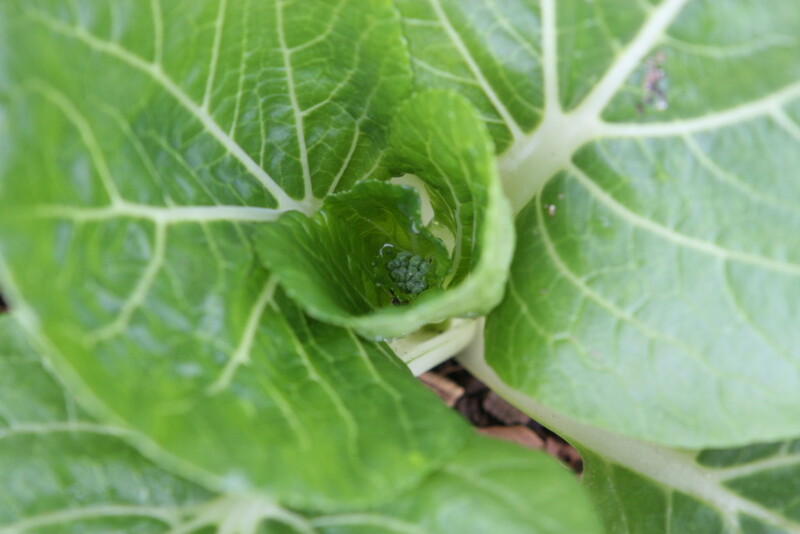 Many of the plants in the garden do not get sowed directly in the ground as they are unable to survive the onslaught of slugs and armadillidiidaes (pill-bugs). Even in these old yogurt containers, they are in peril. Out of the eight sunflowers that sprouted, one was taken down by a slug. The sunflower seedlings were eventually moved to the drought tolerate garden. Up here, they are safer. Slugs do not hangout here. The soil is dry and there is very little for them to much on. 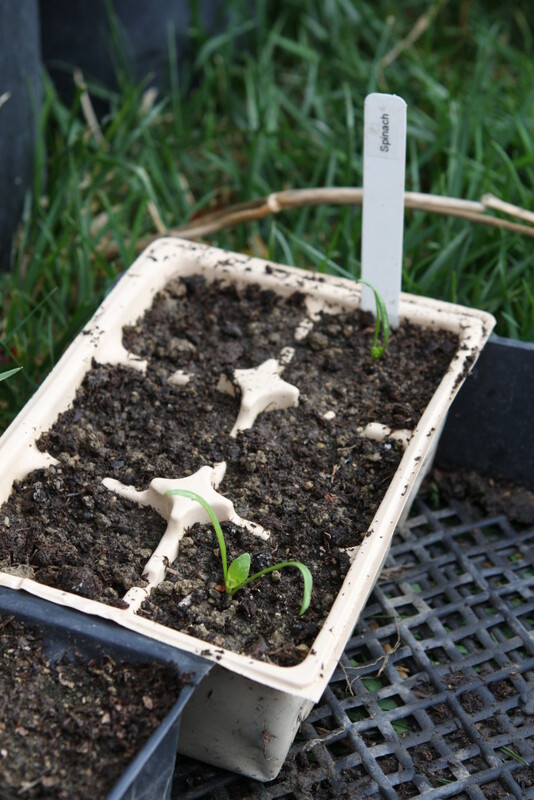 Further, it is quite the journey for them should they want to snack on these seedlings. They’ll need to cross through a dry path and scale a two and a half foot brick wall. To give them credit, it is not that they are unable to, it is not worth their trouble to. The same applies to the pill-bugs. There’s not too much for them up here worth hanging out for. 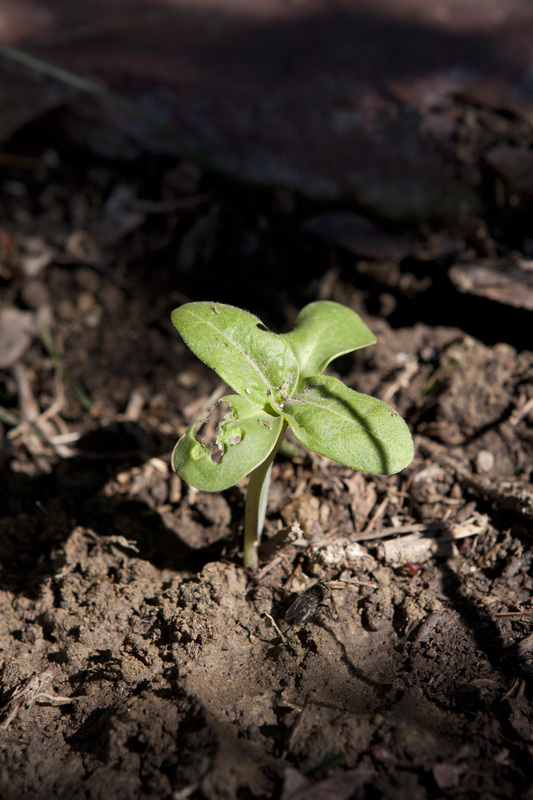 Here’s one of the ‘Red sun’ sunflower in the morning after it was planted into the ground. All but one was chewed on in some form or another by slugs. I am hoping that they are mature enough to withstand the slugs. 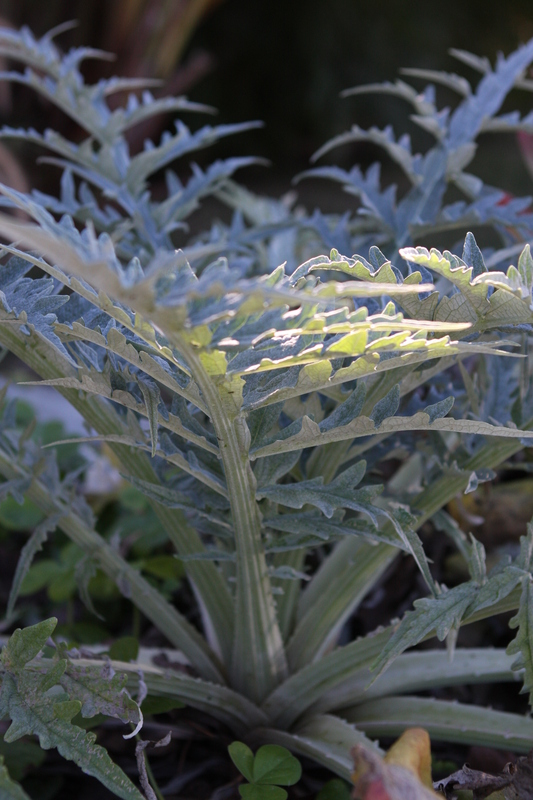 It is starting to warm up here in Zone 10 and the gardening has already begun to spring into full movement. Seeds are sprouting, flowers are blooming, fruit are ripening, and it is about to get crazy up in here! This weekend (February 6th, 7th, & 8th, 2015) was a productive one in the garden. 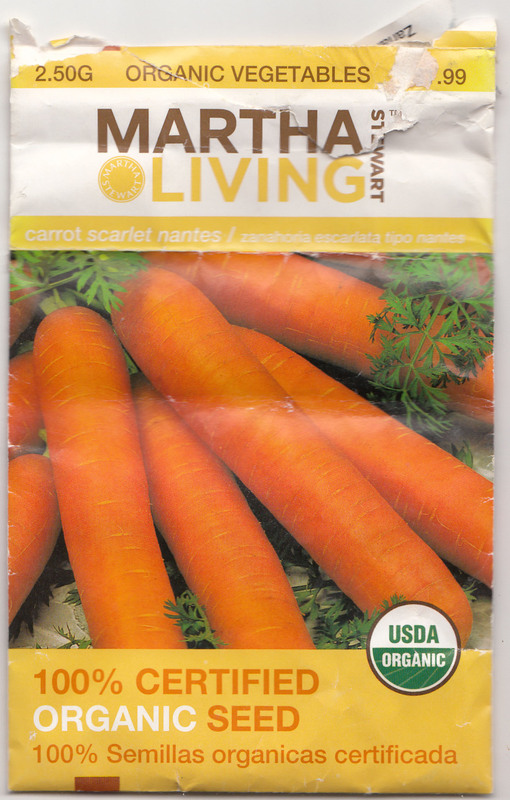 I had many pictures to snap, new ground to break, Ranunculus tubers to plant, and carrots to sow among other fun gardening activities. There were even a couple of surprises. Stay tuned for the updates. Moro blood orange on the tree, 2015. It was not too long ago when I started to seek out fruits and vegetables high in antioxidants. Many of these sought after fruits and vegetables are not likely to found at the local produce section. 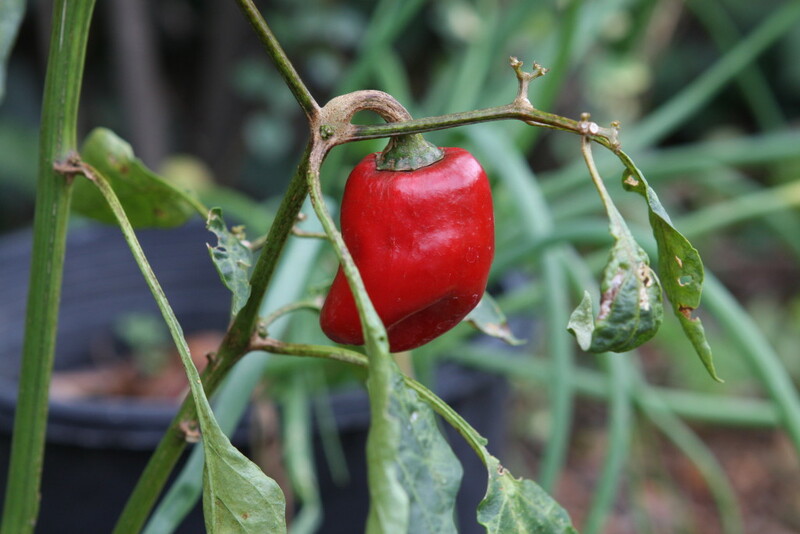 The reasons are that these crops are generally not commercially viable or not in demand enough. 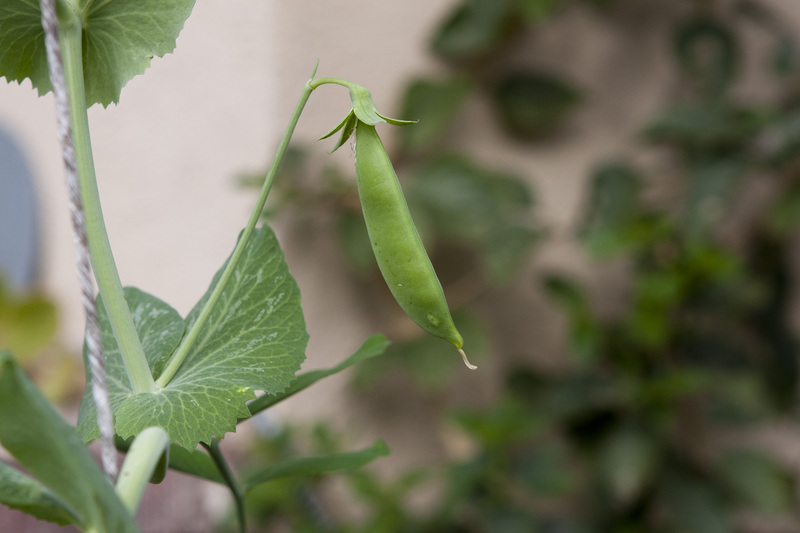 A ‘non commercially viable crop’ is crop that either: do not produce enough, take longer to produce, do not ship well, are difficult to grow, etc. Because of those factors, the price for the crop will be too high for the average consumer. 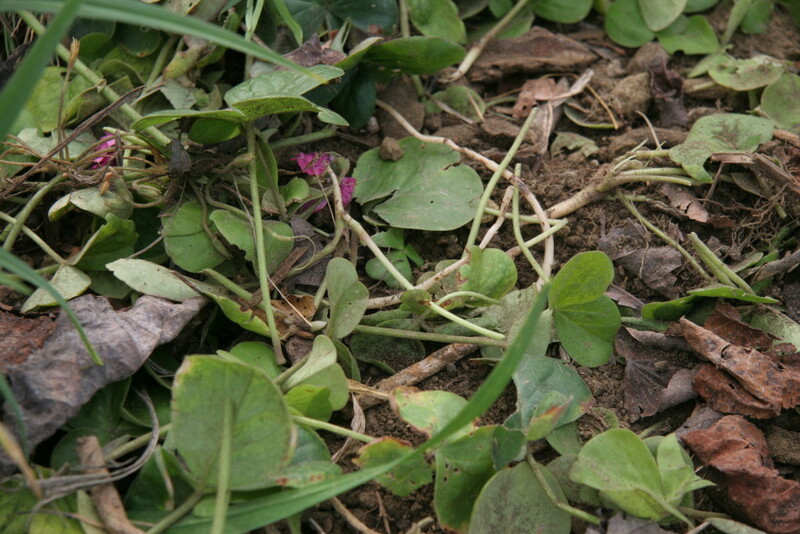 Unable to sell their crop, the growers and sellers then would more likely to be left with crop rotting in the stands. Where these goodies are not likely to rot are on the farmers’ market stands. 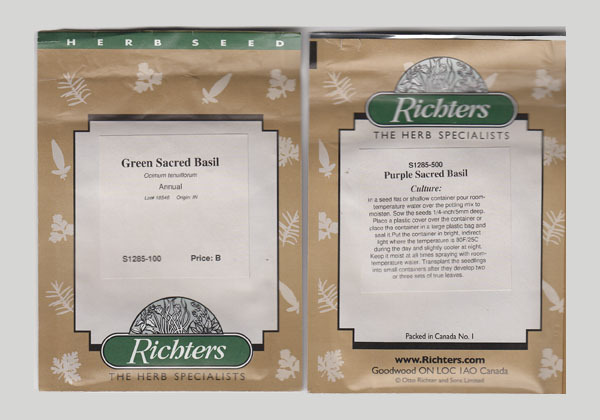 With much lower overhead, the growers are able to provide market goers with reasonable prices. When in season, one of the fruits one expects to find at a farmer’s market are blood oranges. The fruit of the blood orange is more likely to be tart. Tartness is a characteristic one does not seek out in an orange. What is sought after are the antioxidant properties. 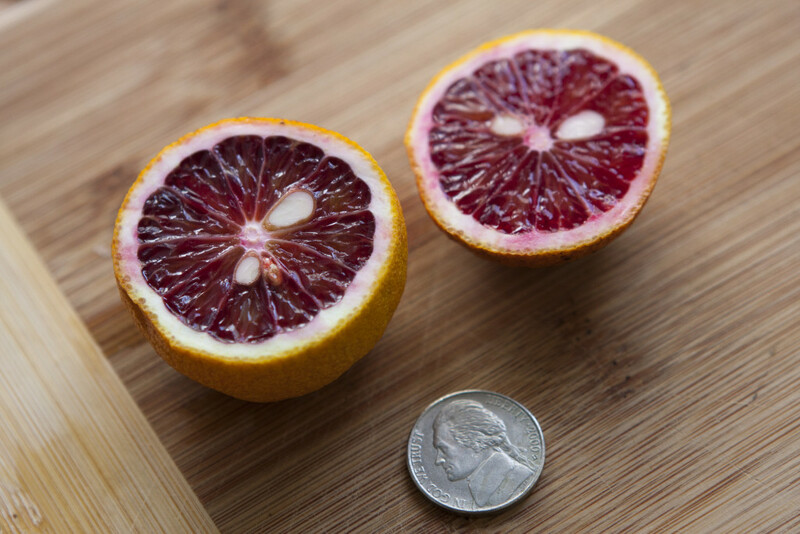 There are a few types of blood oranges with the most commonly available blood orange variety being the Moro blood orange, Citrus sinensis (L.) Osbeck. As for the availability of blood orange trees, they are now widely available. Like at the farmers’ market, the tree variety most commonly available is the Moro. That was the first tree I picked up. Is that the Moro of the story? 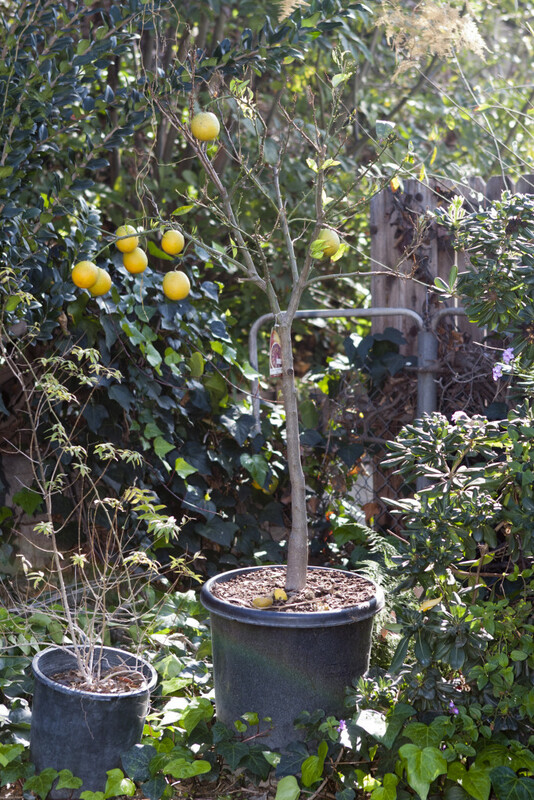 Moro blood orange tree, 2015. No, that is not the Moro of the story. The Moro of the story is to do with what I discovered about oranges this year. 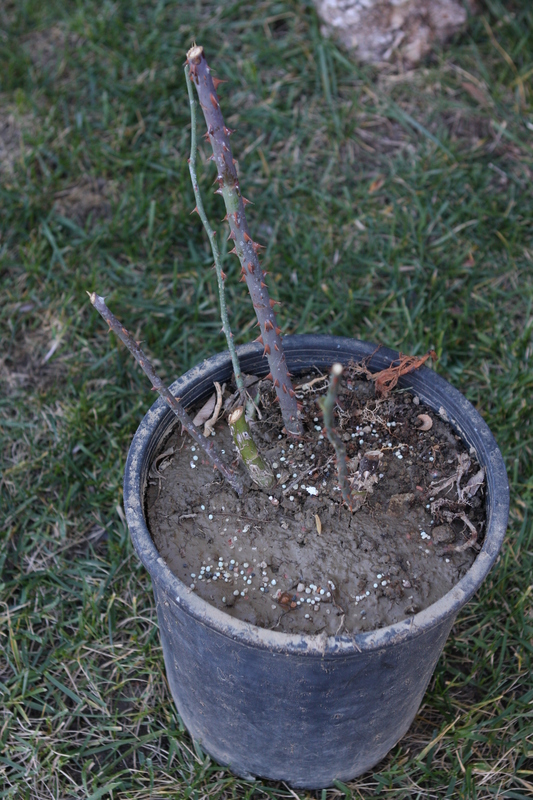 When I brought the tree home almost a year ago, I did not plant it into the ground. Instead, I kept it in its container. The reason is that I was not sure if the spot I selected would be its permanent home. Staying put in its container, it set blossoms and then fruit. It was doing well through summer. When fall came around, it started to become sad. 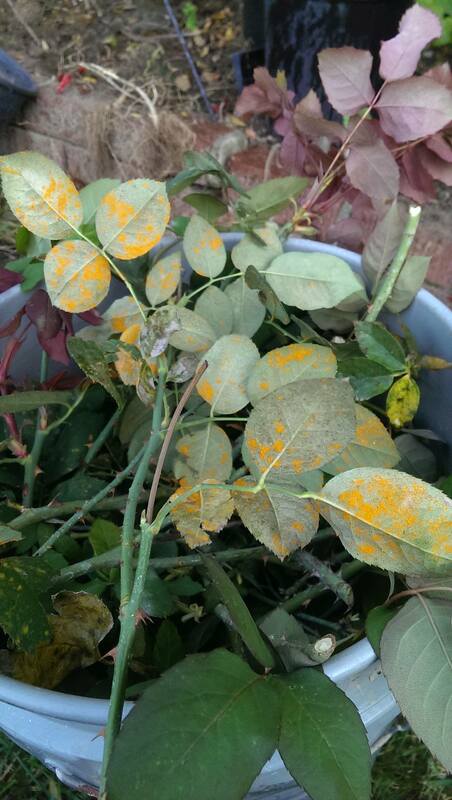 It began to shed leaves. Unable to support all the fruit, it began to drop them. It is still winter and more than half of the fruit have been dropped. 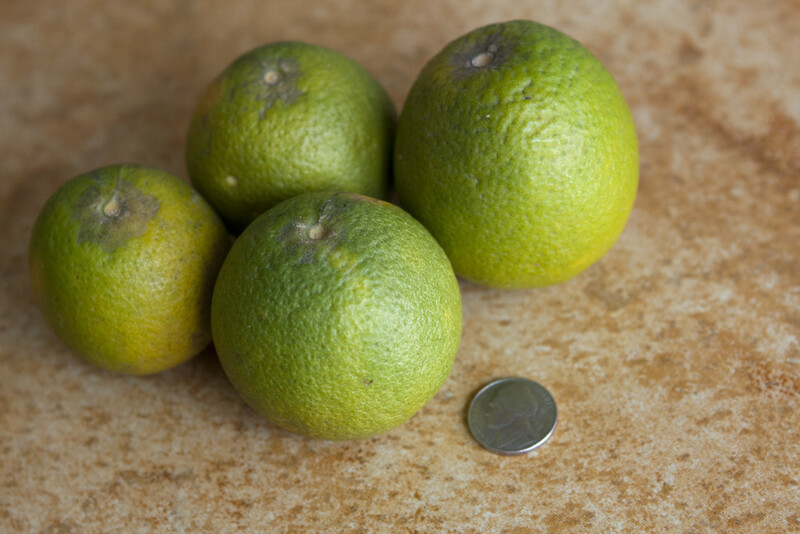 When the fruit is dropped, they are usually green. I would collect them and put them into the compost bin. Dropped Moro blood orange, 2015. Today, I noticed that another fruit had dropped. In the hunt for the dropped fruit, I also recovered a ripen orange from amongst the ivy. 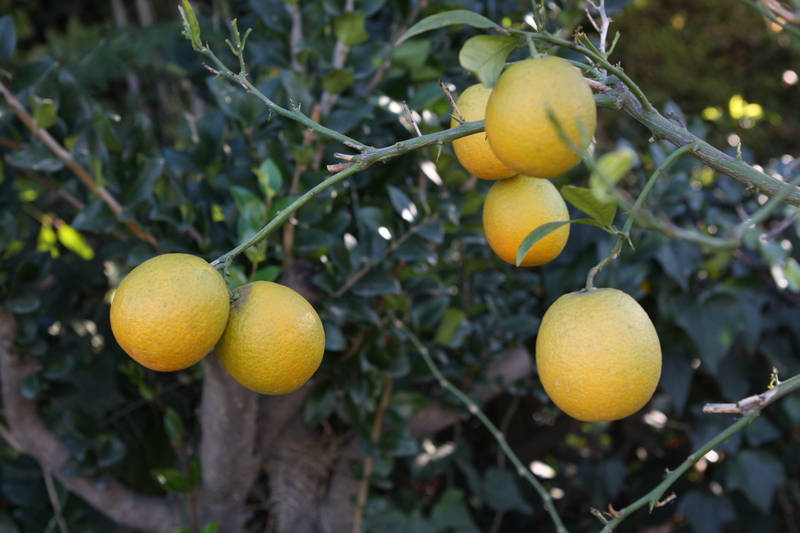 That led to the discovery that oranges continue to ripen despite being disconnected from the tree. Ripen dropped Moro blood orange, 2015. How shallot start my garden? With shallots of course! Shallots (allium cepa var. aggregatum) are in the allium family along with onions, leeks, garlic, chives, garlic chives, and ornamental allium. 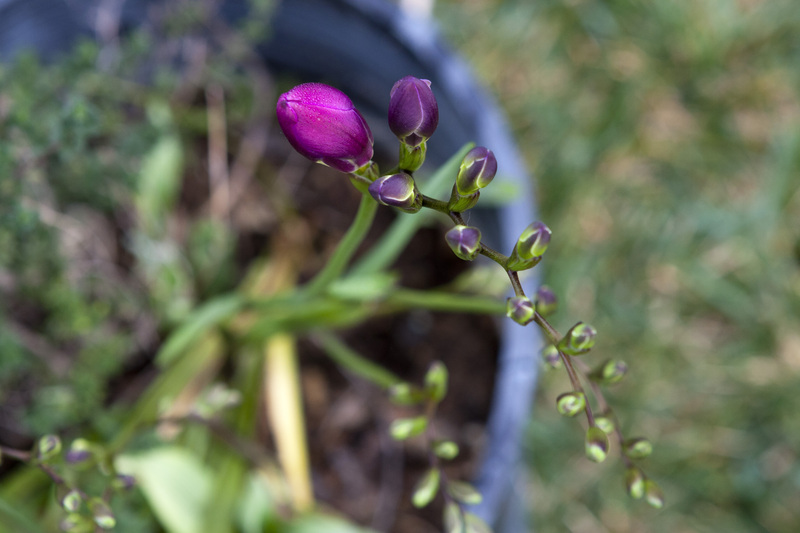 Allium are characterized by a bulb, green leaf stocks, and a flowering floret. (Garlic chives are the exception. 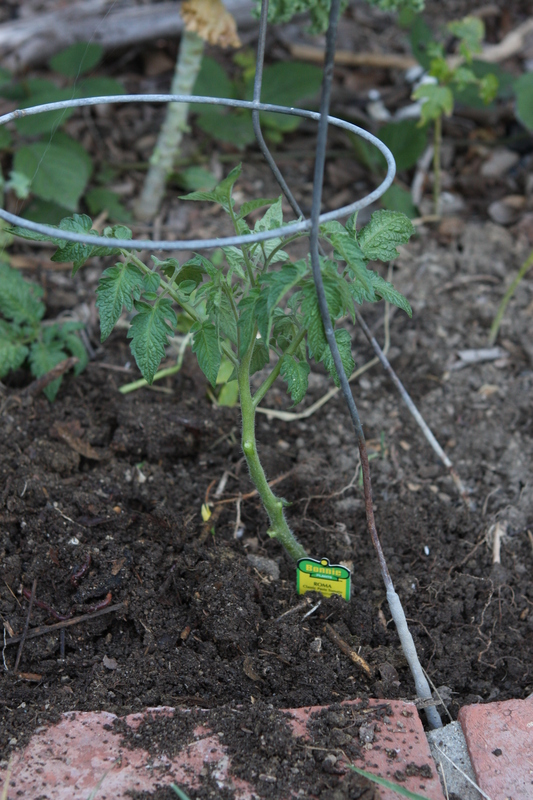 They have a rhizome instead of a bulb.) Shallots reproduce in one of two ways: from seed and from producing new bulbs. 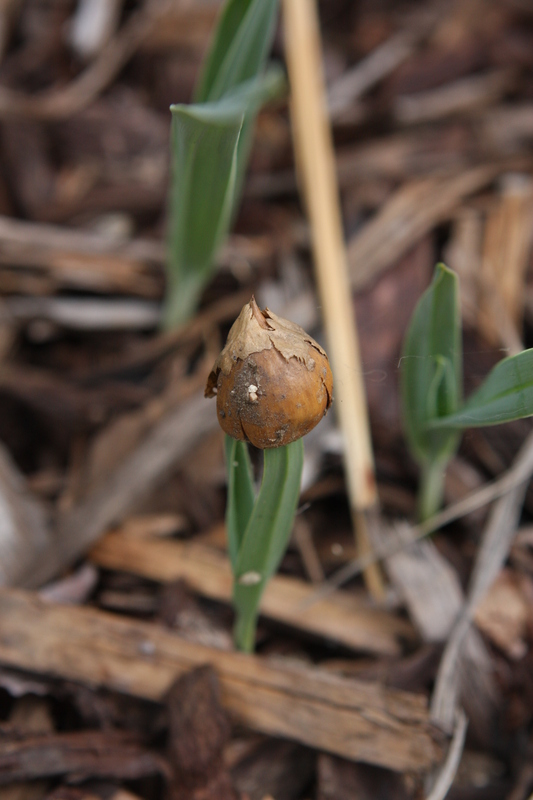 The general rule about bulbs is that larger bulbs produce many smaller bulbs while small bulbs produce fewer but larger bulbs. 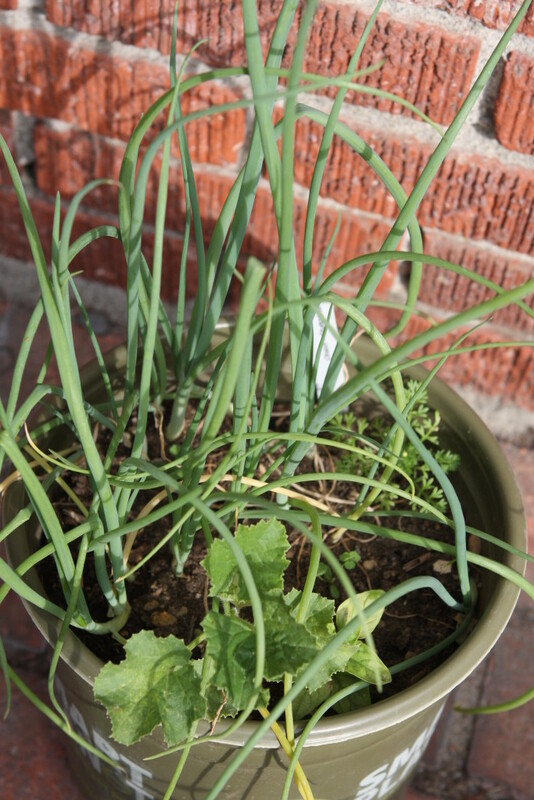 For the beginner gardener, shallots are great plants to start with. 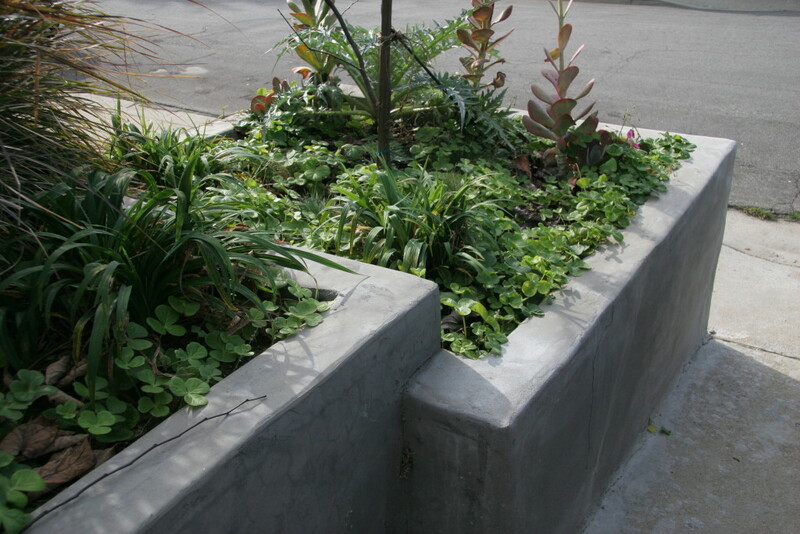 They can be planted just about anywhere here in Zone 10. Full sun or partial shade, clay or soil. They find a way to thrive. Often times, you do not have to go out of your way to get started. They’ll invite themselves in. My shallot crop was started from shallots that I had in the kitchen. 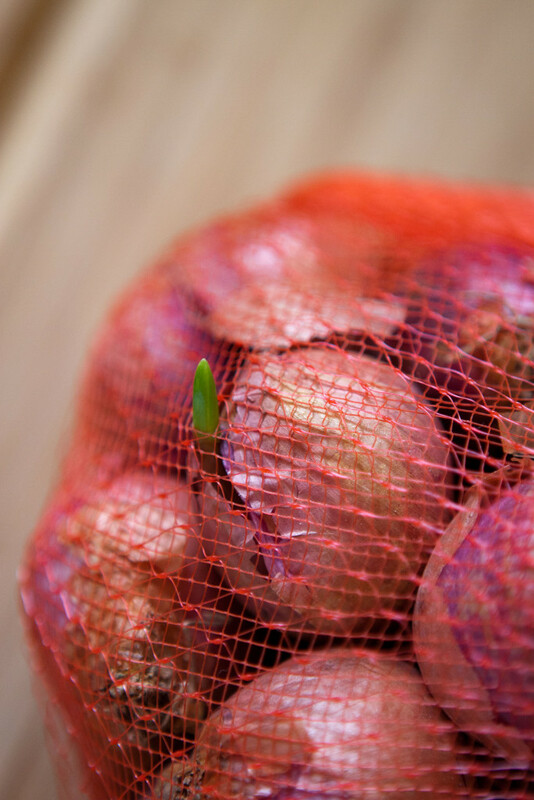 More often than not a bag of shallots from the market will begin to sprout before you can use them all. When they start to sprout you can either rush to get them in a dish or you can find it some dirt. In the dirt, (which I plant about a quarter-inch under the soil), the shallot will continue to grow long green leaves. 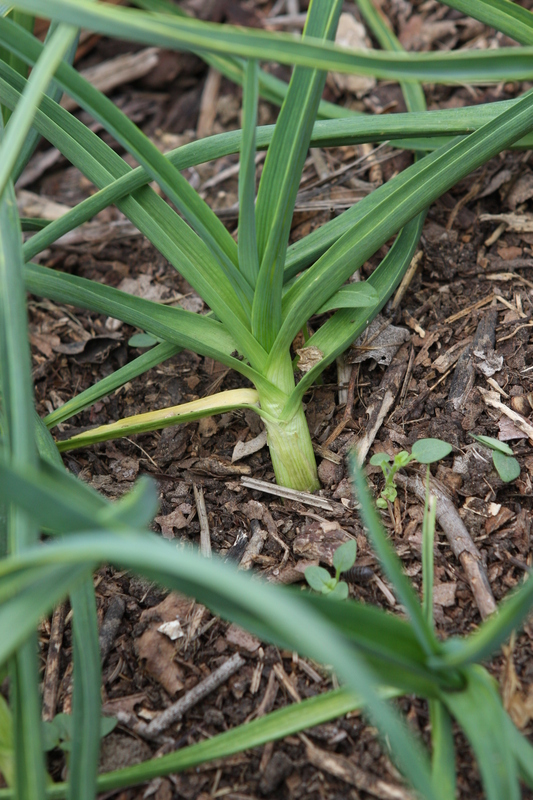 When the leaves are at least six inches in length, they can be harvested as scallions. This makes shallots and onions great plants to have in the garden. Whenever scallions are called for, it’s a short trip from the kitchen to harvest some. 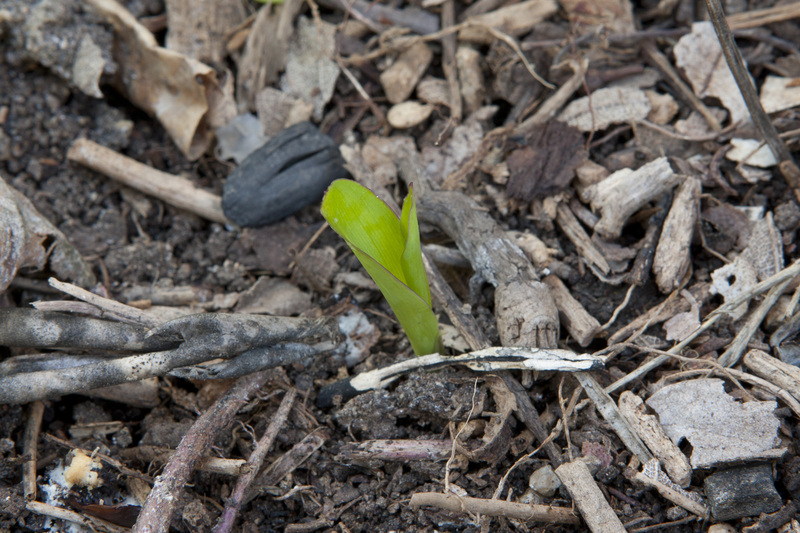 As long as the bulb is in the ground, a new set of leaves will grow back ready for harvest. When the leaves are left on the bulb it will eventually send out a scape. 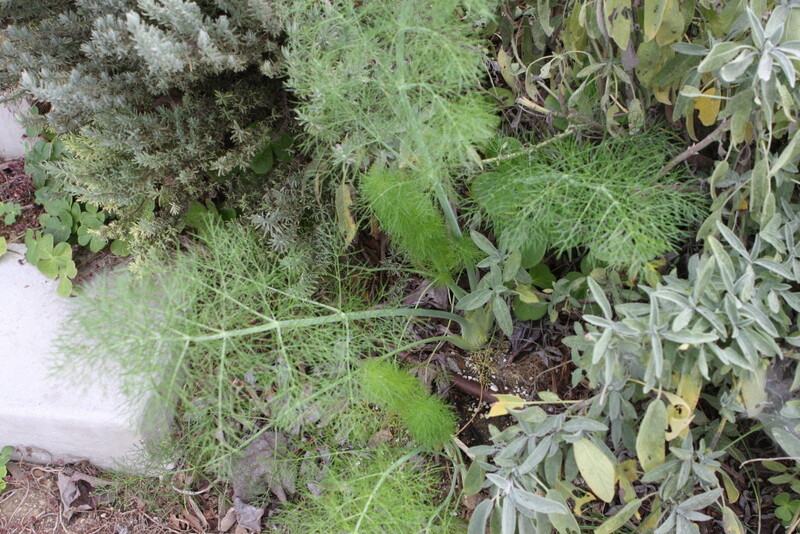 The scape is a firmer stem that shoots from the middle. It is like a firework. The scape will slowly ascend as it matures. 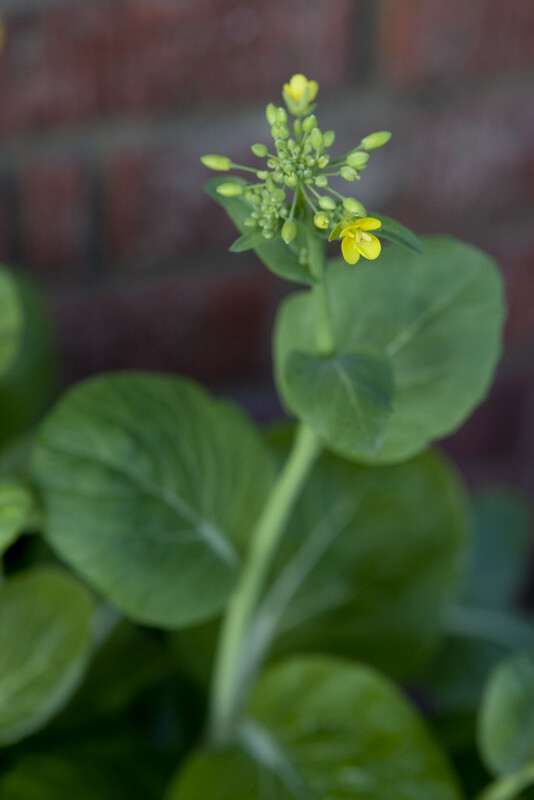 When it reaches its full height, it opens and forms a floret. The floret is like a firework suspended in time. 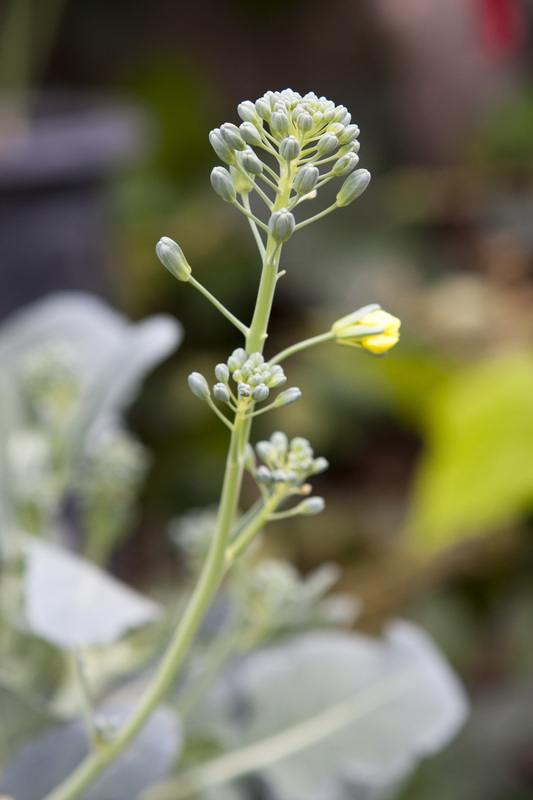 After some time, the tiny flowers that make up the floret turn into seed. From there, even more shallots can be grown. 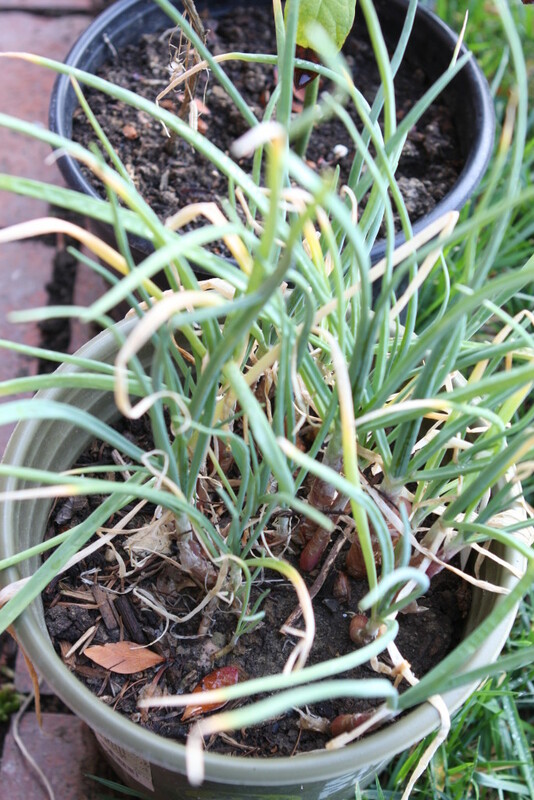 Growing shallots from seeds is fairly easy. 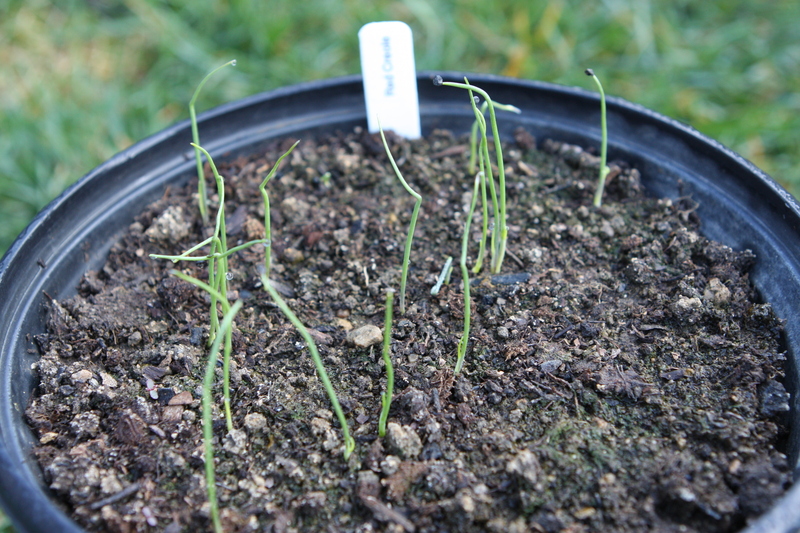 It is also surprising how quickly they mature from seedlings. 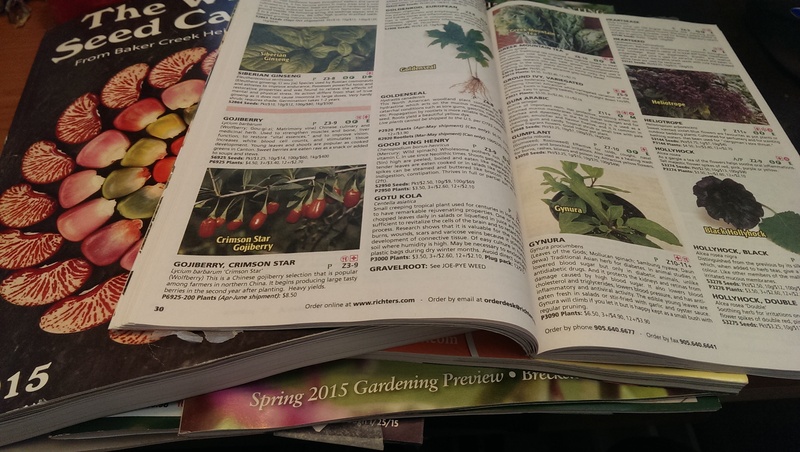 I have been meaning to find a better way to catalog and journal my gardening. This blog looks to be it. There is so much going on in the garden and so much to archive that it is hard to decide where to begin. After much deliberation I figure the best approach is to just dive in and add entries as opportunities to do so arises. It is the beginning of 2015 and that means that I have about six years worth of archive to add. 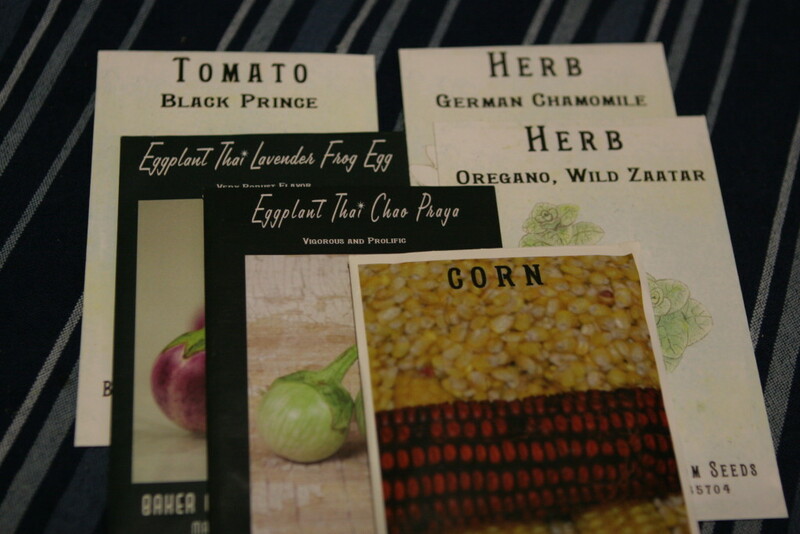 Six years ago, my gardening interest started to morph into a passion. That was made possible after moving to a place with a small yard that I used to grow vegetables. 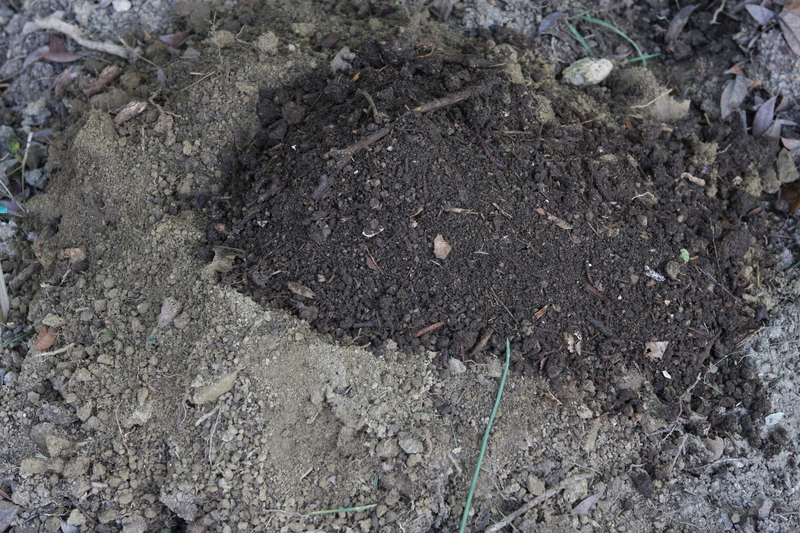 Until then, I did not really have dirt of my own to grow more than a couple of plants. The yard I had access to was already crowded and claimed by my parents. 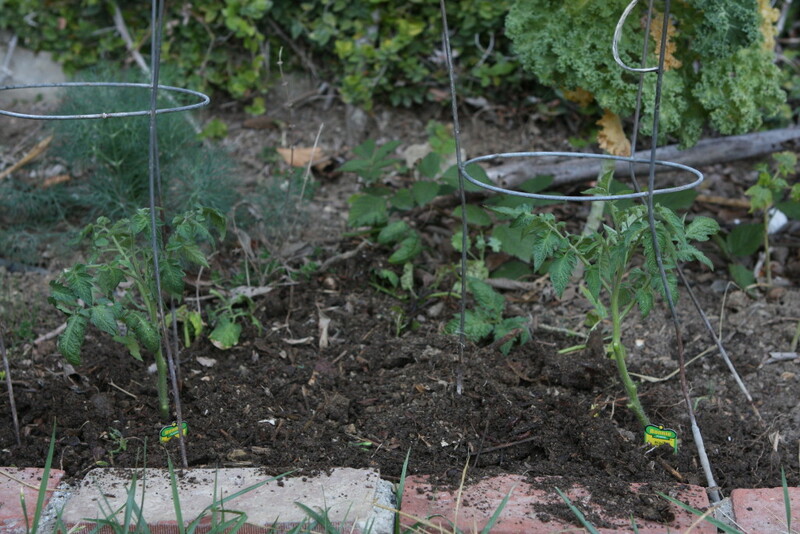 The little patch that I was able to wrestle away, I used to grow zucchini. This squash is an easy plant to grow and delicious when picked fresh. 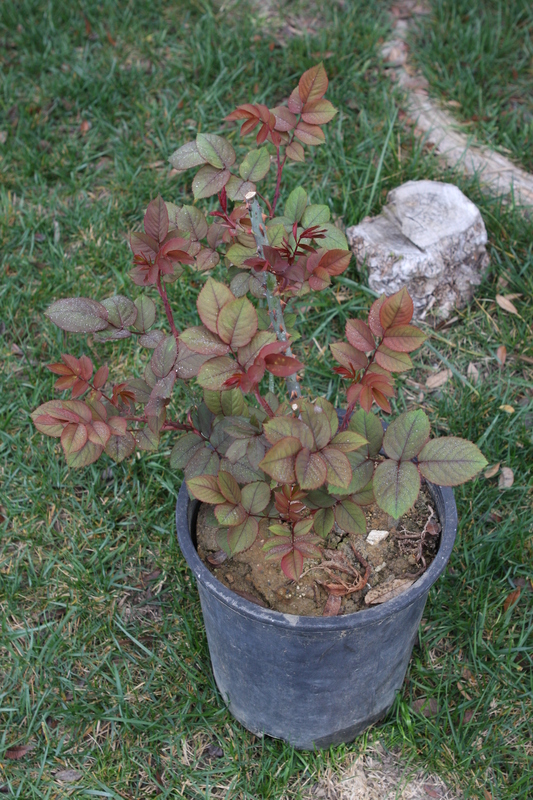 However, the plant grows into a fairly large bush. 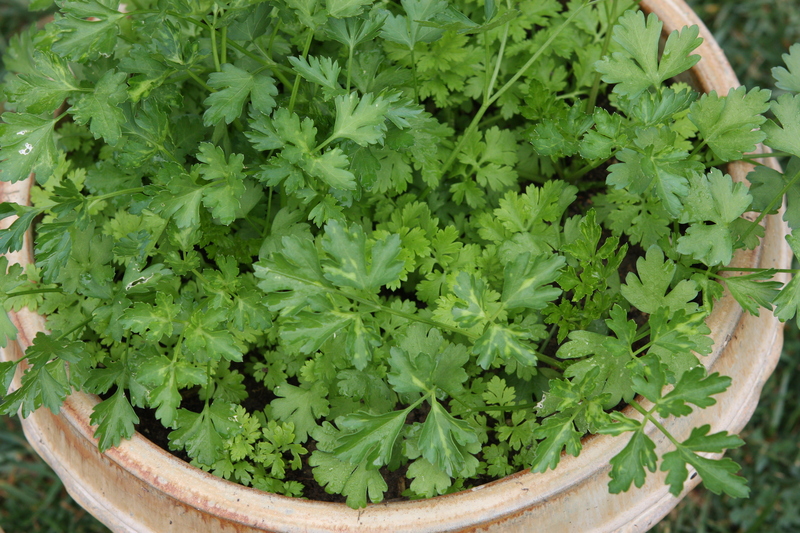 When there is not enough dirt it makes it impossible to grow anything else. Fortunately, when I moved again in 2012, the place happen to have an even larger yard. That is when my gardening really took off. It was not long before I discovered that there is never enough dirt to grow all the things that I want to grow. As we become seasoned gardeners we will probably share in common this sentiment whether our garden is located in a room, on an urban backyard, a community garden, or farm.